Dezeen and Dezeen Watch Store, in association with Deborah Spencer and Alice Breed, proudly present a new retail venture called The Temporium - a pop-up department store featuring leading designers and brands selling their wares direct to the public. 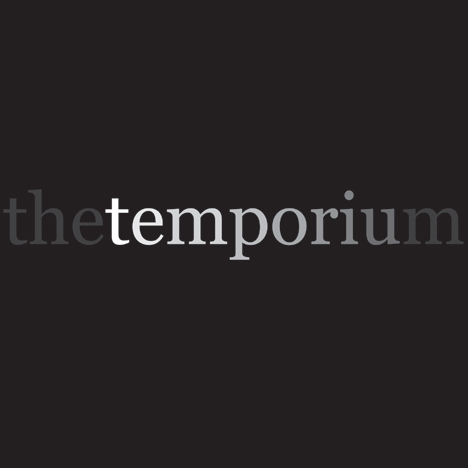 The Temporium's first outing will be a Christmas special at 221 Brompton Road, London SW3, from 9-19 December. Besides Dezeen Watch Store, designers and brands taking part include leading jewellery designer Fiona Paxton, design-led furniture, lighting and accessories retailer Theo, shoe designer Tracey Neuls, stylist Faye Toogood and architecture and design book publisher Gestalten... and many others (see the full list here). The two-storey shop will be located on one of London's most prestigious shopping streets, just a few minutes' walk from Harrods and Harvey Nichols. Visit www.dezeen.com/thetemporium for full details of our Christmas pop-up, and look out for future editions of The Temporium in London and beyond! The Temporium is a collaboration between Dezeen, Dezeen Watch Store, Deborah Spencer and Alice Breed.